In my novel, A Portrait of Love and Honor, aggression is practiced with almost ritualistic delight on unsuspecting and innocent “victims”―including the novel’s main character Jay Scioli. Within the framework of my book―based on my late husband’s West Point memoir―a detailed portrait of aggression emerges. A question the reader might ponder: If the military is thorough in its training of aggression, does it follow suit that the aggressor must find an outlet to release his frustration? We see in movies how those who fail to “fit the mold” become easy targets by others who feel it is their duty―perhaps their right―to dispense punishment. And it is hardly news that the movie American Sniper has gone on to blockbuster status. America’s penchant for violence and aggression is well documented. In a recent Washington Post article on the “moral injury” of war, no mention is made of how aggression is celebrated and rewarded. Yet, it seems to me, ethical discussions can’t take place without first understanding the toll misplaced aggression takes on people and a society. 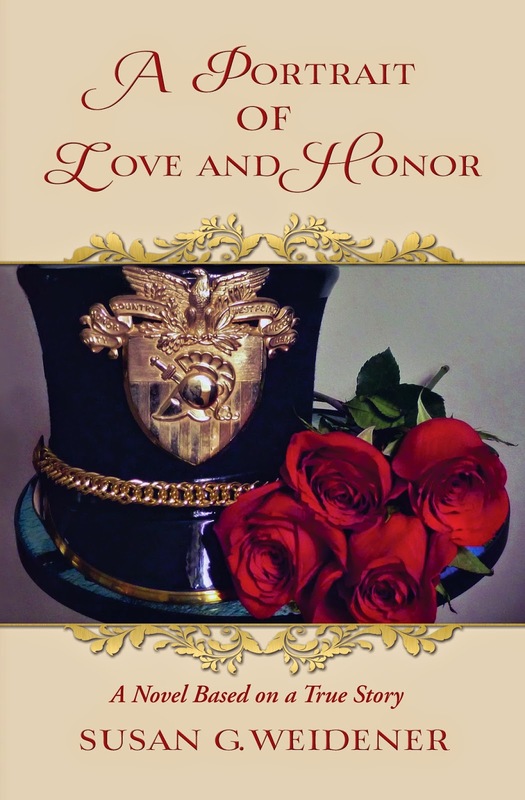 In A Portrait of Love and Honor, Jay wants to be a soldier―it is his dream to graduate West Point and become an officer in the United States Army and to “fight in my war”―which happens to be Vietnam. He soon finds himself a target of aggressive cadets and tactical officers who feel he “isn’t a good fit,” at least in their military mindset. The result: stress and depression as Jay begins to realize they need a scapegoat. Jay recounts in first person narrative how his squad leader treated him simply because he didn’t like the tone of his voice. I immediately strode across the small twenty-by-twenty room and came to attention with my back leaning against McClellan’s wooden closet door. In a move which belied his size, McClellan was directly in front of me, his face no more than two inches away. I could see by the swiftness of that move why McClellan excelled as a baseball player. I quickly feared for my well-being. McClellan must have smelled my fear. He got a small crooked smile on his thin pink lips. He seemed to be backing off and then just as quickly and with a swiftness that made his first move seem slow by comparison, he turned back towards me and raised his clenched right fist. With one swift motion, he swung his fist at my head. I started to move to the right but stopped; I knew instinctively that McClellan wasn’t trying to connect with my head. I stood my ground as McClellan’s fist with the full force of his two hundred pounds smashed against the closet door behind me. He missed my face by an inch. The door vibrated from the force of the blow. McClellan started to laugh. We see aggression every day, not only in our personal lives, but in the news, in the statements of politicians, in the office, in social media. Your comments and thoughts are most welcomed.